"We do not inherit the earth from our ancestors; we merely borrow it from our children" says a Native American proverb. It’s time we as a generation realize the truth behind this saying. Just in the last 100 years, man has wiped out most of the forest cover on earth. Is this what we want to leave behind for our children? If we don’t do something about this right NOW, future generations will look back at us with great animosity. World Environment Day on June 5 is a good time to take stock of how we live our lives, and make a commitment to do our bit for Mother Earth. The easiest and most effective environmental solution an individual can implement is to plant trees – especially in tropical latitudes. 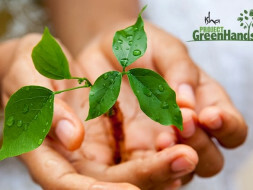 Despite the hectic lifestyle you’re caught in, Project GreenHands makes it possible for you to create your own green patch with just a click away. As we end this year’s online tree planting campaign, we wish to thank you for planting trees with us. 2,071 donors from across the world joined hands with Isha Project GreenHands to offset their carbon footprint. 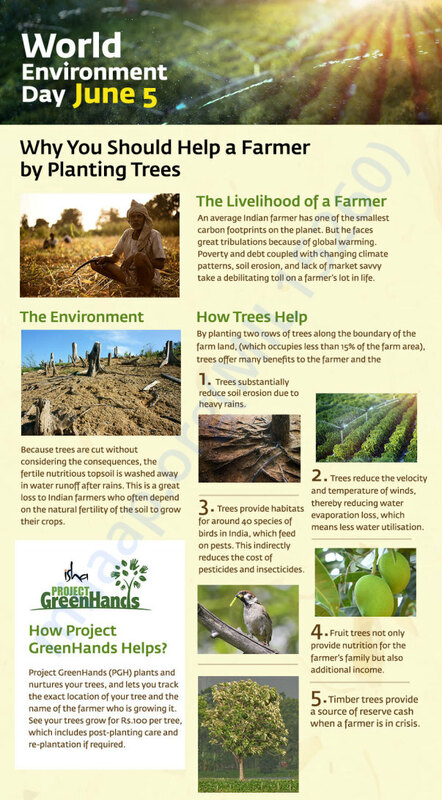 Your generous donation has enabled planting of 45,929 trees in farmlands. Every tree counts! Together, we can create a greener world. For all the contributions made until 31st December, you can start tracking the trees! Thank you for the wonderful support. Sharing with you a picture from our Isha Nursery in Thanjavur District, Tamil Nadu. 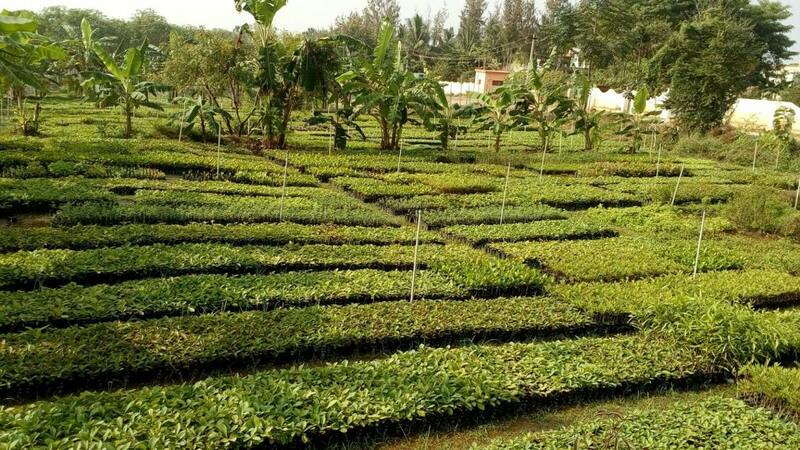 Saplings will be planted by farmers once the monsoon starts during September -December.